When a customer in New Jersey called Choice Financial about his check order, he got Amy Ebensteiner in Fargo. He recognized the accent right away. “You must be in the Midwest!” he said, with excitement. “Yes, I’m in Fargo,” Amy answered. 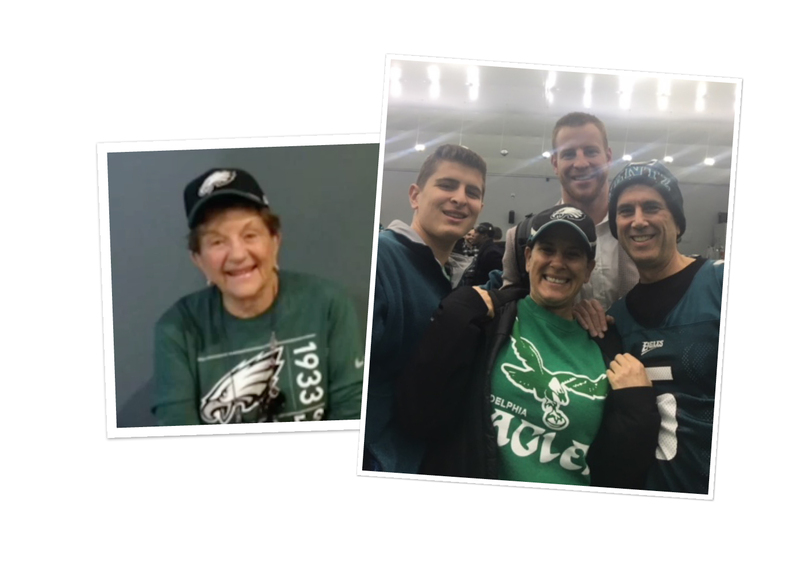 “Well, I’ve gotta tell ya, I’m a huge Carson Wentz fan,” the man explained. He told her his family has had Eagles season tickets since 1962, even adding that if he had the chance, he’d elect Wentz to be Mayor. Well, I’ve gotta tell ya, I’m a huge Carson Wentz fan. Amy laughed. Then, she had an idea. After his check order was processed and the two hung up, Amy went to see her supervisor, Mandy Sheeley. She explained how the customer had shared his fandom for Wentz, and was thinking they could send him some Wentz swag from Fargo. In classic Choice Financial style, Mandy jumped on board. “Go to Scheel’s!” she said. Off Amy went. At first she searched for a Wentz T-shirt, but then realized she didn’t know what size to get the customer, whom she only knew by voice. Then her gaze fell across a light-up Eagles beanie with the name “WENTZ” in bold letters across the front. “I just knew!” she said. Amy brought it back to the office and wrote a note. “Hope you can use this hat to keep warm while cheering on your team!” she wrote. A couple months later Amy and Mandy decided to track down the customer and give him a call. The next day, snow was just beginning to fall as the phone rang, from Fargo to New Jersey. “….Hi!” he sounded slightly confused. “OHH you’re the one who sent the Wentz hat!” he said. The two began to laugh. They chatted about the story, and Mark even agreed to send over a photo of him wearing the hat. As they wrapped up the call, Mark thanked her for the gift. “It puts a smile on my face every time I think of that hat,” he said. Special gifts like this are not out of the norm for Amy. She went on to explain that in Amy’s field, customers are usually calling in with frustrations. But no matter the situation, Amy’s positive energy turns the conversation into a pleasant experience. 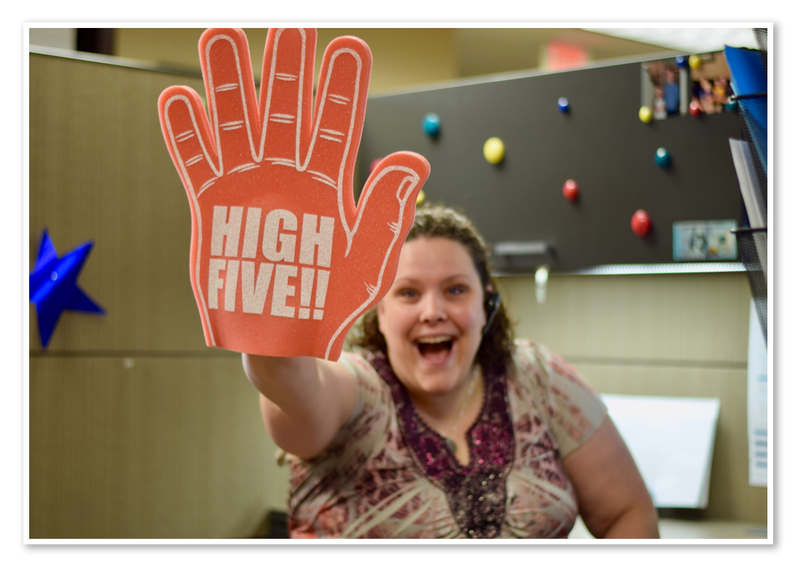 From Choice’s core value, “Work hard, do the right thing, and have a little fun!” Amy’s favorite part is having a little fun. Mark did send the photo. It was taken during a trip to Sedona, Arizona with his wife, just before they climbed Cathedral Rock. In the e-mail, he included a story about how the hat sparked conversation with another traveling couple. Turns out, they were also from Fargo, and also Carson Wentz fans. Back in New Jersey, Mark plans to wear the hat for many winters to come. “And, when Wentz leads the Eagles to a Super Bowl victory, just think of me, delirious with joy,” he said. 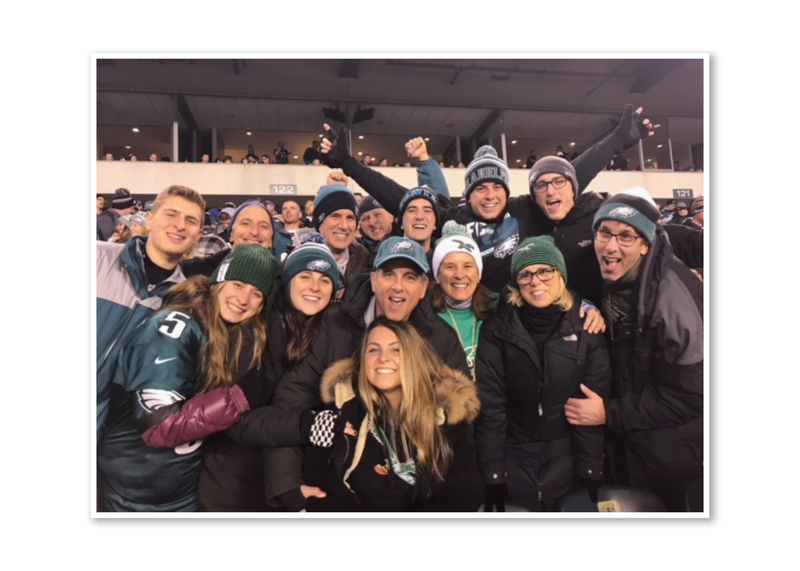 After finding out Mark lost his mother shortly before the 2017 NFL season (she was perhaps the most passionate Eagles fan of the family), Amy reached out to the Philadelphia Eagles to see if they would acknowledge him at the Vikings vs Eagles playoff game. They did one better and invited Mark to a private Eagles’ pep rally, where he got to meet Carson Wentz! 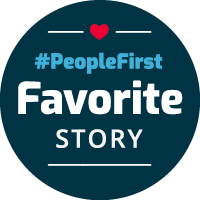 You can hear the full story on the Choice Financial People First Podcast found on your favorite podcast app, or at the top of this page.